Cabinet committee chaired by PM Narendra Modi approves Agriculture Export Policy 2018 to double exports & integrate Indian farmers and agricultural products with global value chains, the main focus is to realize the PM Modi's vision of Doubling Farmers Income by 2022. Cabinet committee chaired by PM Narendra Modi has approved the Agriculture Export Policy 2018. This comprehensive policy aims to double exports and integrate Indian farmers and agricultural products with global value chains. The main focus of this new policy approved by the central government is Doubling Farmers Income by 2022. Exports of agricultural products are going to play a vital role in achieving this goal. The primary objective is to harness export potential of Indian agriculture through suitable policy instruments. This will make India global power in agriculture and raise farmers income. Cabinet has also approved the proposal to establish monitoring framework with Department of Commerce as the nodal department to oversee its implementation. 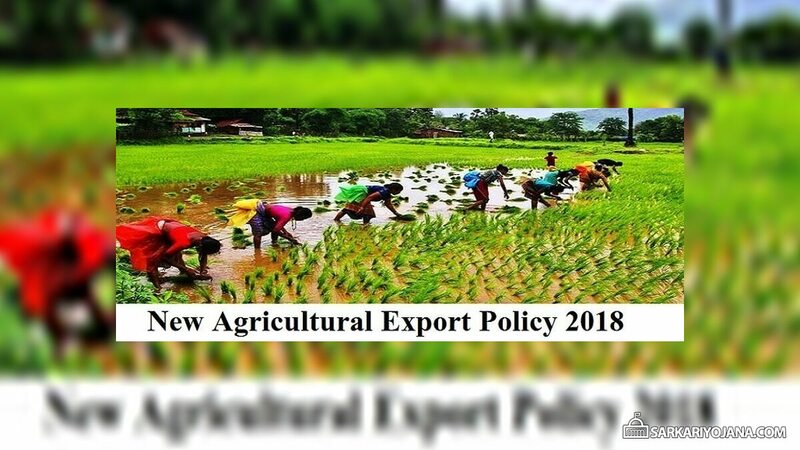 Agriculture Export Policy 2018 by Central Govt. This policy will promote novel, indigenous, organic, ethnic, traditional and non-traditional agri products exports. The new policy will provide an institutional mechanism to pursue market access, tackling barriers and deal with sanitary and phyto-sanitary issues. To double India’s share in world agri exports by integrating with global value chain as soon as possible. This will also enable farmers to get benefits of export opportunities in overseas market.